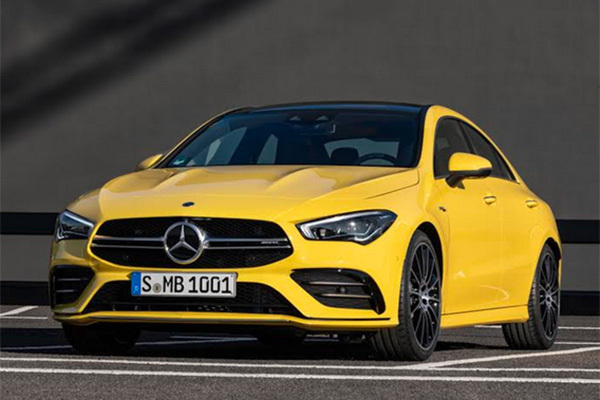 The new Mercedes-AMG CLA 35 4Matic, featuring an iconic design and intelligent MBUX interior assistant, is celebrating its world premiere as part of the New York International Auto Show on April 16. The new CLA 35 4Matic (combined fuel consumption 7.3-7.2 l/100 km; combined CO2 emissions 167-164 g/km) is the latest, more lifestyle-oriented, point of entry to the world of Mercedes-AMG. The four-door coupé shares the progressive technology of the A-Class. The agile high torque 2.0-litre four-cylinder turbo engine delivers 225 kW (306 hp), which is variably distributed to all four wheels via the 7-speed dual-clutch transmission and the all-wheel drive. The sporty driving performance (acceleration from 0-100 km/h in 4.9 seconds) is linked with a wide spread of the driving experience - from very sporty to comfortable on long journeys. "With its iconic design and agile driving dynamics, the new CLA 35 is an attractive offer for a young, active and lifestyle-conscious target group,” said Tobias Moers, CEO of Mercedes-AMG GmbH. The CLA 35 4Matic also comes with trailblazing voice control, activated by "Hey Mercedes". Thanks to artificial intelligence, MBUX recognises and understands nearly all sentences from the fields of infotainment and vehicle operation, even if they are expressed indirectly. • "Basic" is assigned to the "Slippery" and "Comfort" drive programs. In this case, the CLA 35 4Matic shows very stable handling with high damping of the yaw rate. • "Advanced" is activated in the programs "Sport" and "Sport+". The CLA 35 4Matic remains neutrally balanced. The lower yaw damping, lower steering angle requirement and enhanced agility support dynamic manoeuvres such as driving on winding country roads.